Meet the “Post-seculars” — the one in five Americans who seem to have gone unnoticed before in endless rounds of debates pitting science against religion. They’re more strongly religious than most “Traditionals” (43 percent of Americans), and more scientifically knowledgeable than “Moderns” (36 percent) who stand on science alone, according to two sociologists’ findings in a new study. 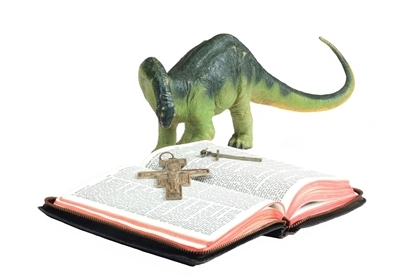 A study published in American Sociological Review indicates a sizeable number of religious Americans familiar with scientific findings who come to their own conclusions when faith and science collide. “We were surprised to find this pretty big group (21 percent) who are pretty knowledgeable and appreciative about science and technology but who are also very religious and who reject certain scientific theories,” said Timothy O’Brien, coauthor of the research study, released Thursday (Jan. 29) in the American Sociological Review. Put another way, there’s a sizable chunk of Americans out there who are both religious and scientifically minded but who break with both packs when faith and science collide. Post-seculars pick and choose among science and religion views to create their own “personally compelling way of understanding the world,” said O’Brien, assistant professor at the University of Evansville in Indiana. Read more of this story from Religion News Service.